This Safari forms a circular route around the Okavango Delta, starting and ending in Livingstone, Zambia. It offers a great value trip through three countries – Botswana, Namibia and Zambia. The Deluxe Accommodated Safari is an activity-packed safari allowing you to discover the diversity that Botswana and Namibia has to offer. Comfortable transportation between the lodges is done in an enclosed, air-conditioned mini bus. Accommodation throughout your journey includes lodges and bungalows, whilst in the Khwai/Moremi area a scenic tented camp consisting of large bow tents, camp beds and bedding as well as en-suite bush ablutions, enabling you to feel at one with nature. 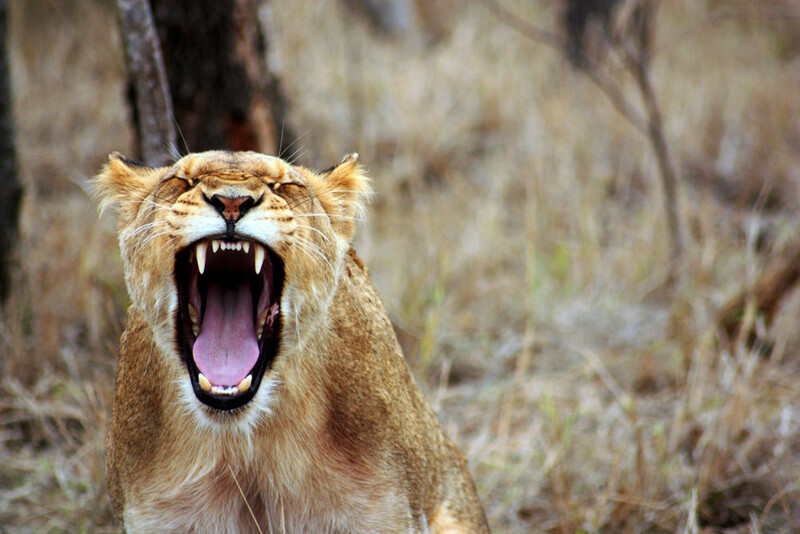 2 nights in North Eastern Namibian National Parks – Caprivi area. 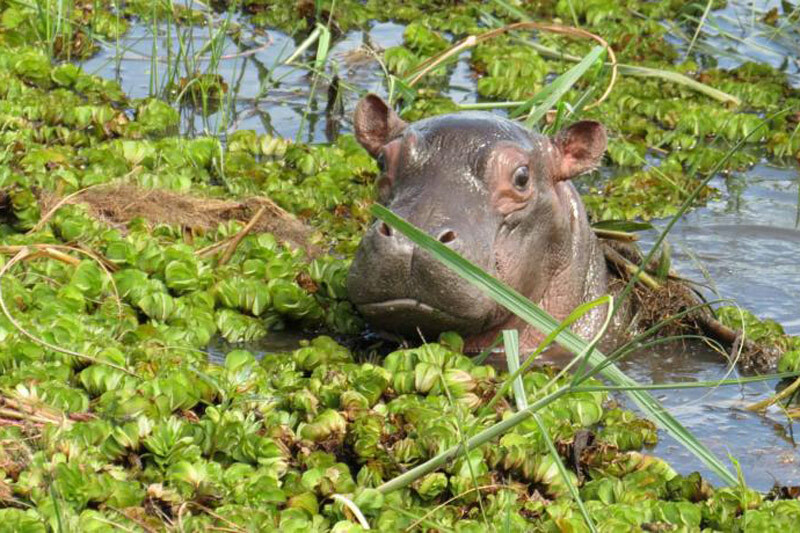 Central Okavango Delta and mokoro excursions. 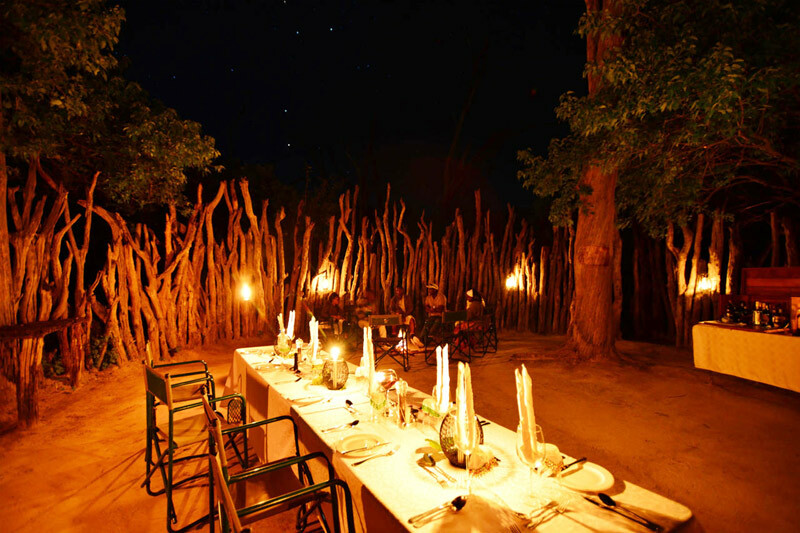 2 nights in Moremi Game Reserve. 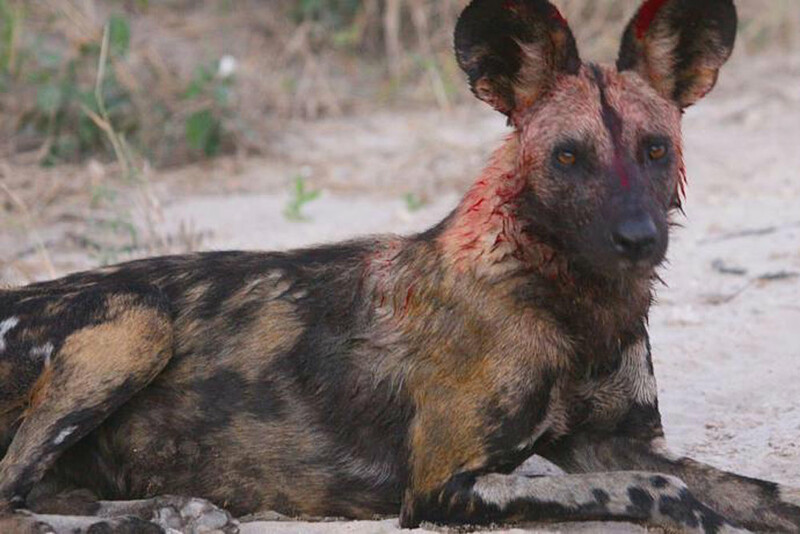 1 night in Makgadikgadi Pans. 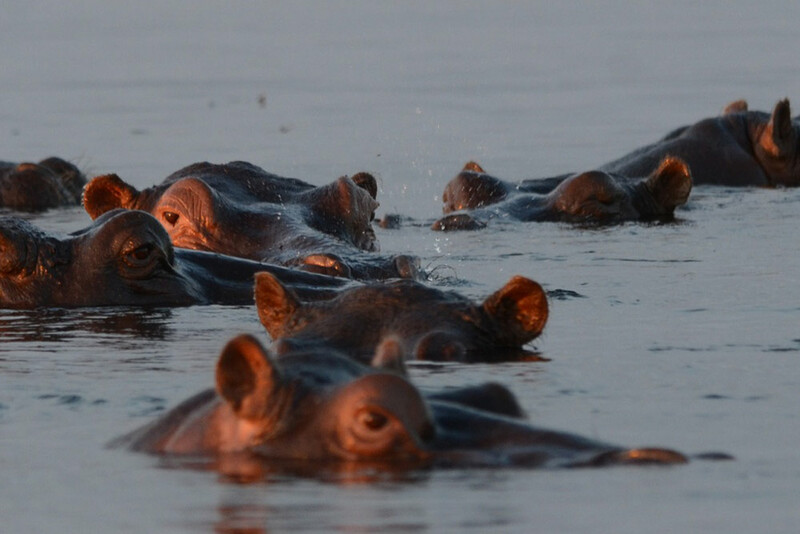 2 nights in Chobe National Park. 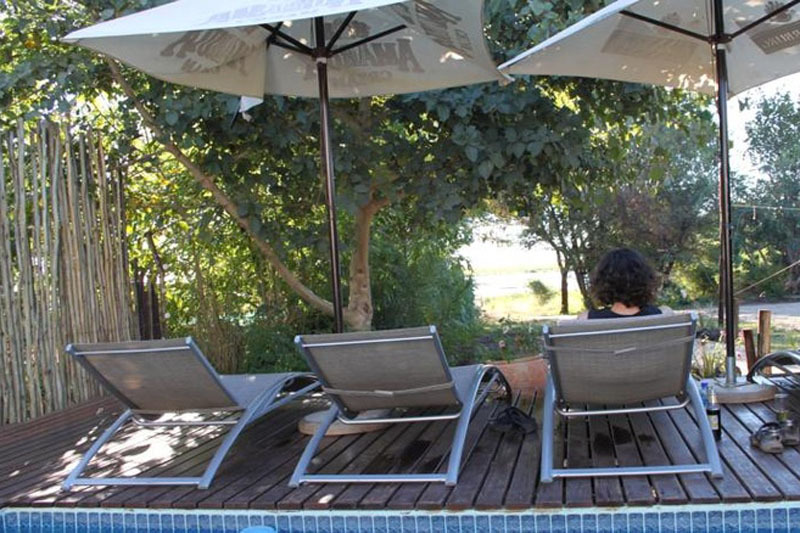 On arrival in Livingstone (Zambia), you will be met and transferred to a lodge. Meals at your own expense. 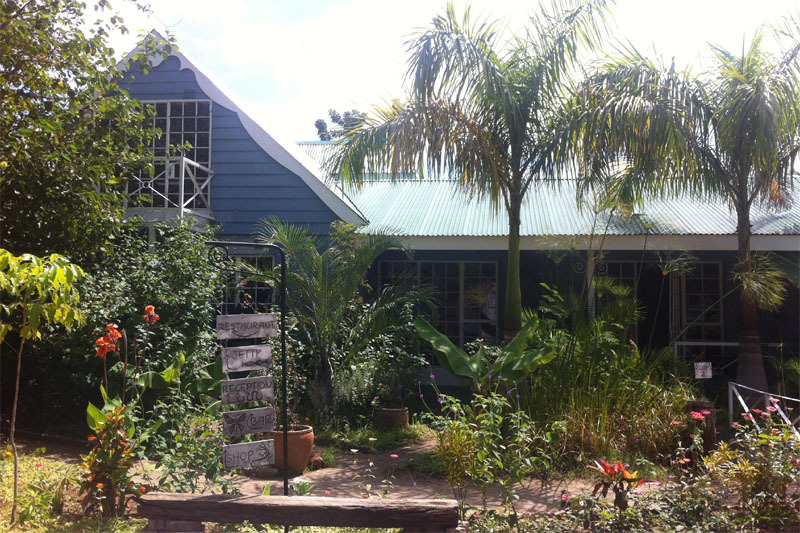 Overnight in lodge in Livingstone on twin sharing basis. The safari begins in Livingstone, Zambia, at 09.00 a.m. Your guide will give you a full safari briefing before you head west and cross the border into Namibia at Katima Mulilo which gives us the opportunity to pause for lunch. Afterwards, head further into the Caprivi Strip of Namibia to Camp Kwando. This lodge has a lovely vista over the Kwando River, a tributary of the Chobe River, which forms the border between Botswana and Namibia. After an early breakfast, a guided bush walk is in store. Experiencing this area by foot provides a close and personal look at the multiple aspects of African fauna and flora, from indigenous plant species and birds, to various animal spoor. 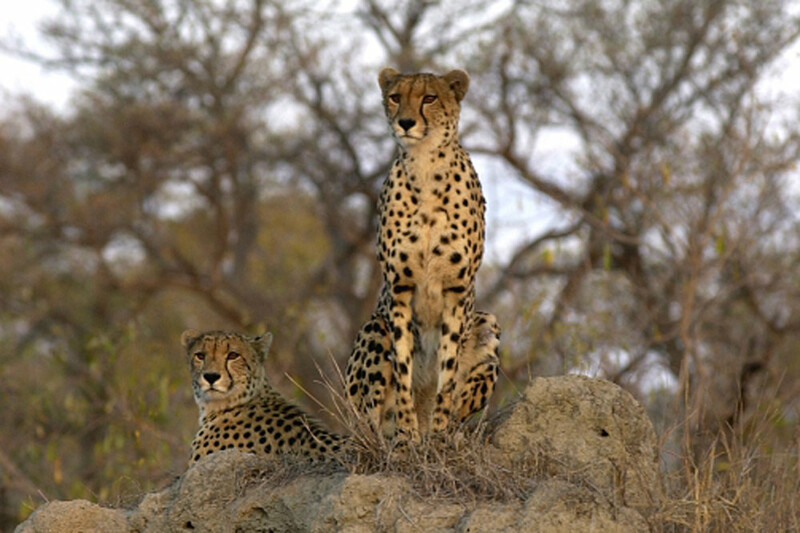 In the afternoon a game drive in the nearby Mudumu Game Reserve offers the prospect of seeing larger game. Elephant, Kudu and other antelope are commonly seen in this area. Returning to the lodge towards sunset, feel free to enjoy a drink before a hearty dinner, then leisurely head off to bed lulled by the sounds of the African bush. Oernight stay in Camp Kwando. After an early rise the safari continues east along the Caprivi Strip until you reach Poppa Falls located on the Okavango River. Stretching your legs, take a short walk through the bush in order to get a closer look at these rapids, the last of the great Okavango River before it enters the Delta. From Poppa Falls, continue to Botswana, entering Mahango Game Reserve just before the border. 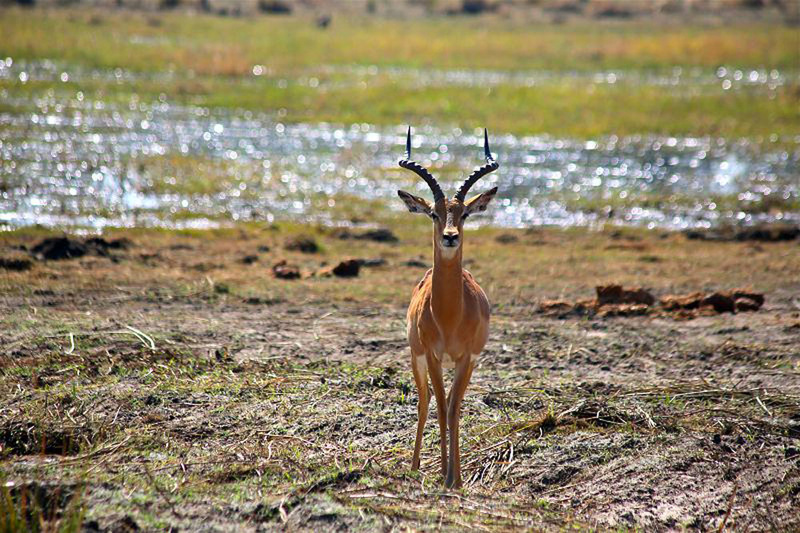 Situated on the flood plains of the Okavango River, Mahango Game Reserve is well known for its sightings of Red Lechwe, Sable and Roan Antelope amongst other wildlife. Leaving this scenic reserve, a short stop at the border crossing back into Botswana sees us heading south to Guma Lagoon for 2 nights. 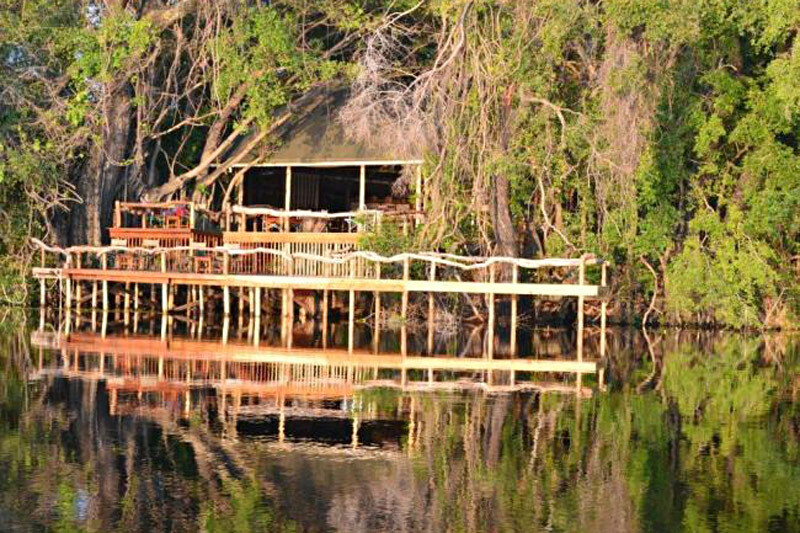 Guma Lagoon Lodge is situated right in the Okavango Delta overlooking a large lagoon, which gives the lodge its name. 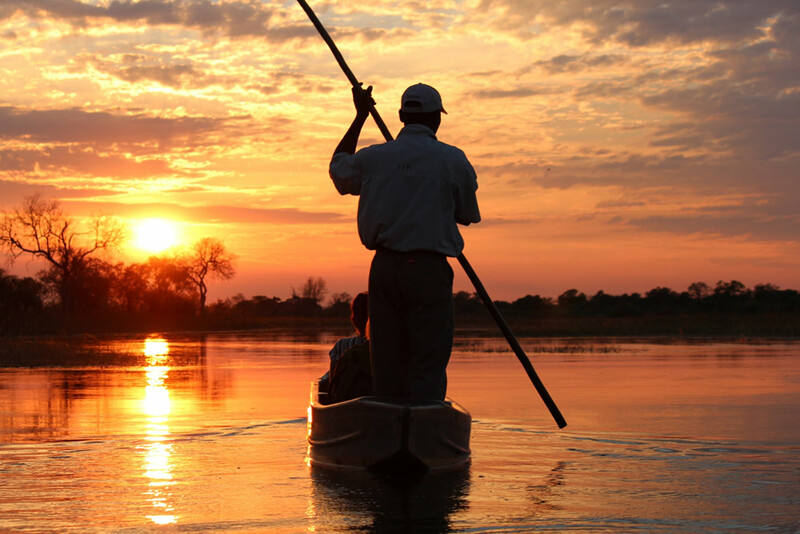 Early in the morning, enjoy a motorboat cruise through the papyrus-lined channels of the Delta to the mokoro station, where your day of exploration in the heart of the Okavango Delta begins. Mokoros are traditional dugout canoes, which have been used by the Bayeyi River Bushmen for centuries to negotiate the intricate pathways of this unique area. This full day excursion allows the opportunity to encounter a large number of bird species and view landscapes many people can only dream of. Overnight at Guma Lagoon Lodge. 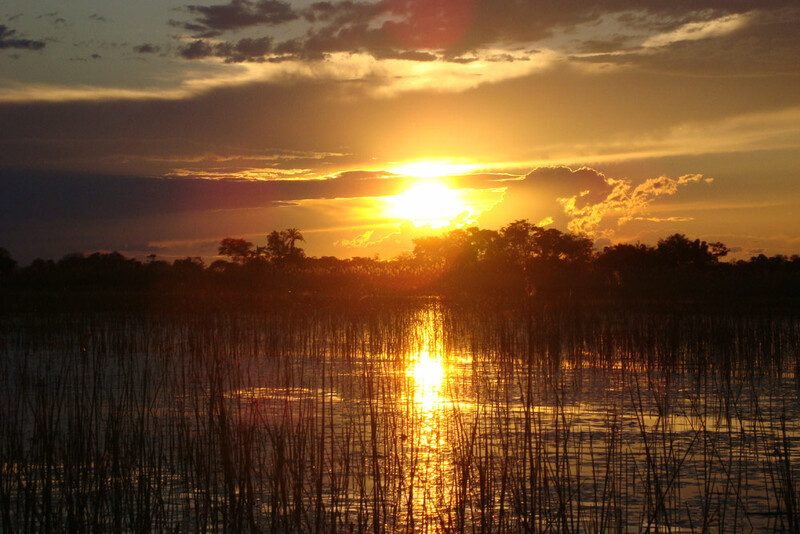 Inspired by the beauty of the Okavango, travel south to Maun by minibus. An optional scenic flight over the Delta to Maun is available. 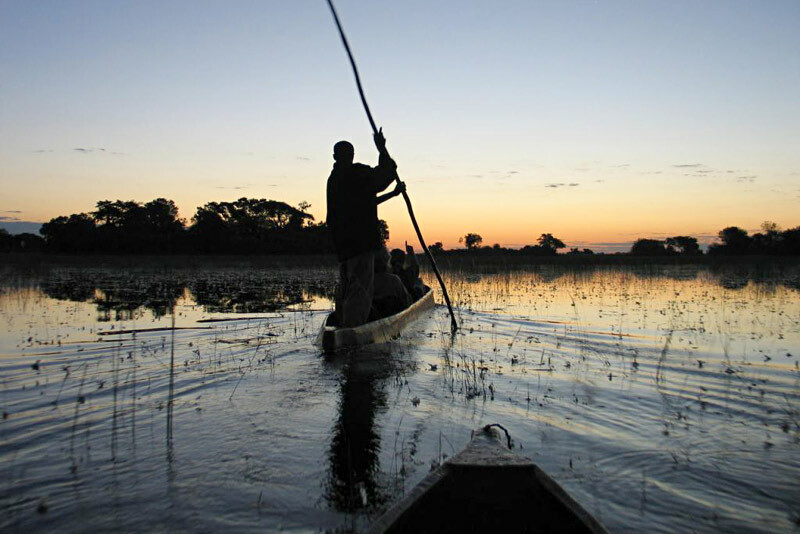 This magical experience provides another perspective of the Okavango Delta’s distinctive water system. 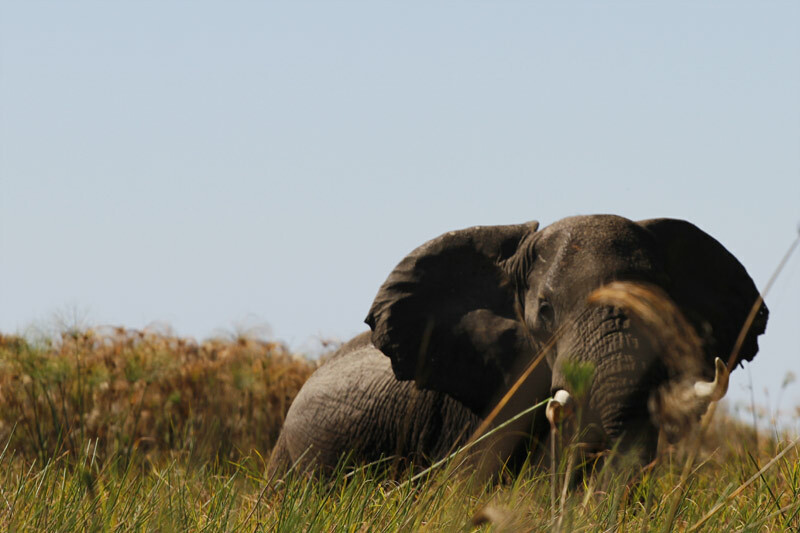 During the flight it is even possible to spot large game animals such as Elephant, Giraffe and Hippopotami. If you choose to take the flight, a leisurely afternoon at the lodge awaits, writing postcards, reading a book or soaking up the experience of being totally immersed in a stunning natural environment. 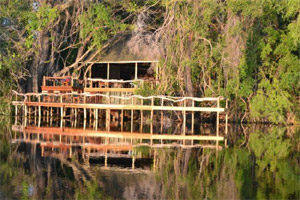 Your guide will travel to Maun with the vehicle and meet you at the airport. After picking everyone up, a bit of shopping for curios and necessities is possible before spending the night at a comfortable lodge just outside Maun. From Maun the drive meanders through to the Khwai River area, on the border of Moremi Game Reserve, one of the best wilderness areas of Botswana with very high concentrations of game. The next two days will be spent searching for the wide variety of wildlife and birds that this area is renowned for while absorbing the sounds and beauty of this region. Enjoy game drives in the early morning as the sun rises and in the late afternoon as the sun sets. Lunch will be waiting upon your return to camp after which a short siesta is rarely turned down. 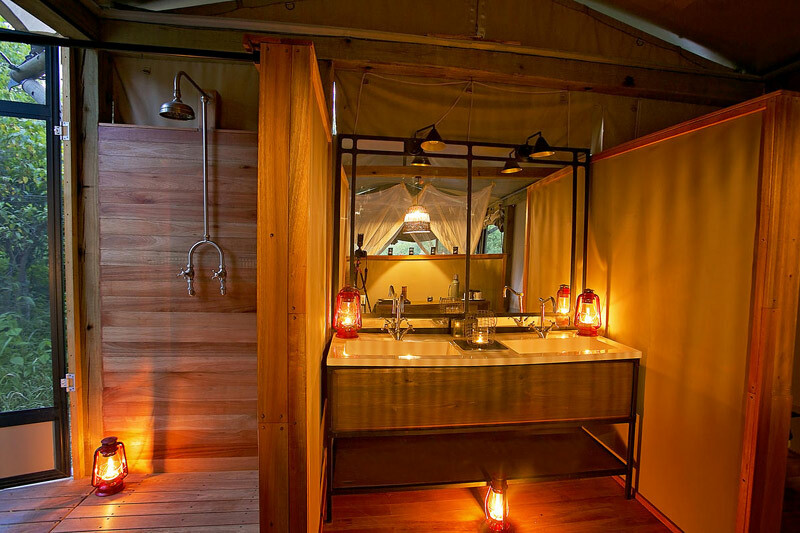 Accommodation consists of a tented camp with large bow tents and camp beds, with an en-suite bush toilet and bucket shower. Free to enjoy activities as in Day 7. 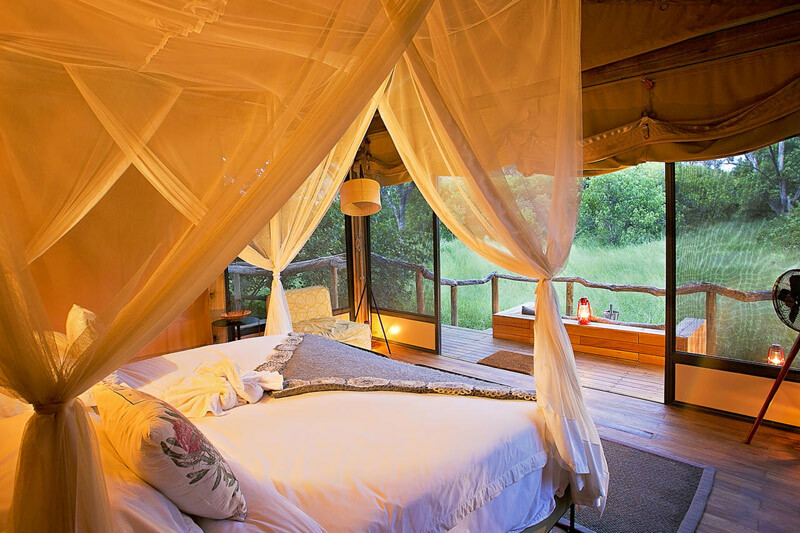 Overnight in a luxury tented camp with large bow tents and camp beds, with an en-suite bush toilet and bucket shower on every tent. 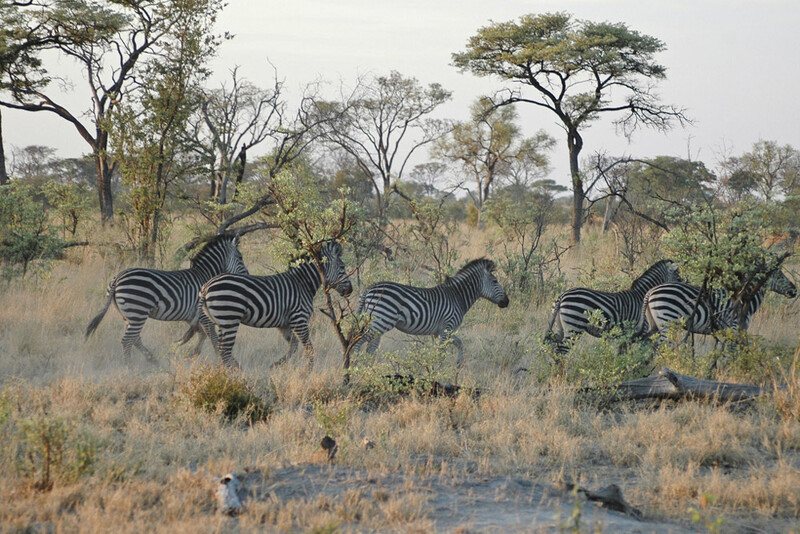 An early start will see you travelling back through Maun, and then towards Nata, on the edge of the Makgadikgadi Pans. 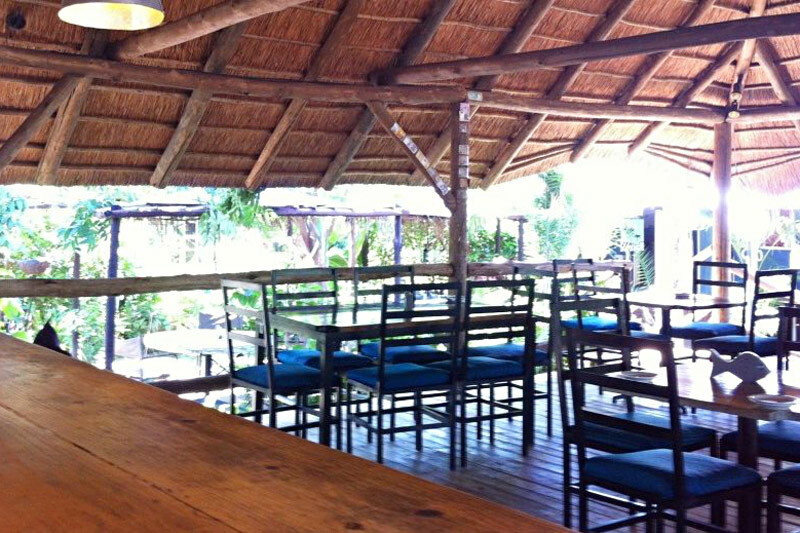 Watching the landscape change from green swamplands to vast saltpans, your journey pauses along the way for lunch before arriving in the late afternoon at Nata Lodge. 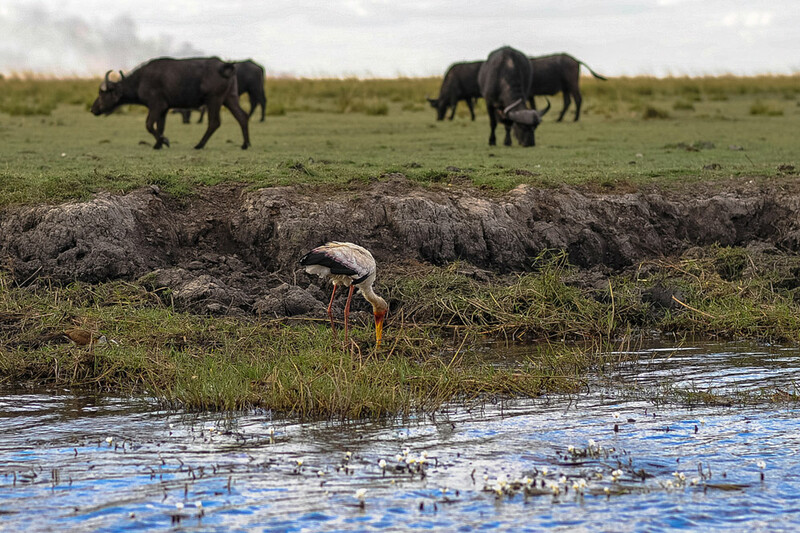 An eventful start to the day commences with a visit to Nata Bird Sanctuary, where depending on the time of year, it is possible to see large flocks of flamingos and pelicans feeding and nesting on the pans. The safari then heads North towards Kasane, a town on the edge of Chobe National Game Reserve, where we will stay 2 nights to explore the northern reaches of the park. Feel free to investigate the ins and outs of the town, a well-known tourism hub of Northern Botswana, in the afternoon. Time is spent in Northern Chobe, a park which is incredibly rich in game due to the Chobe River providing water all year round. 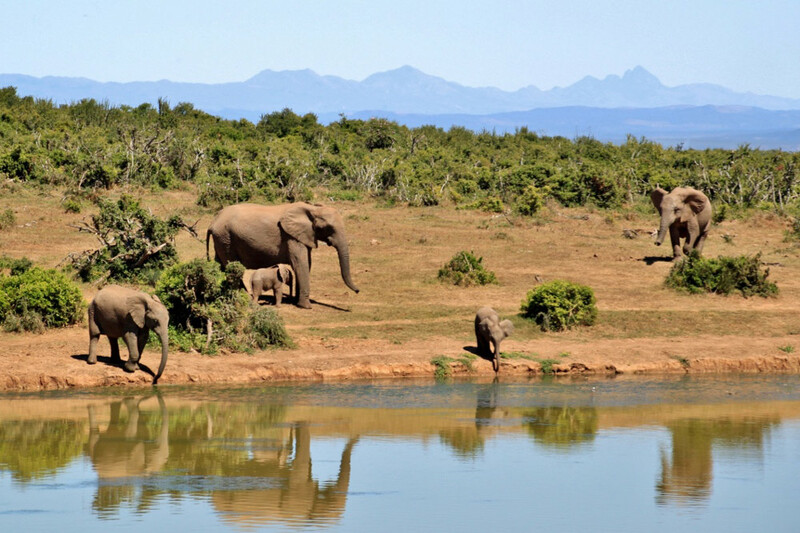 Large herds of elephant are frequently seen walking to and from the river. 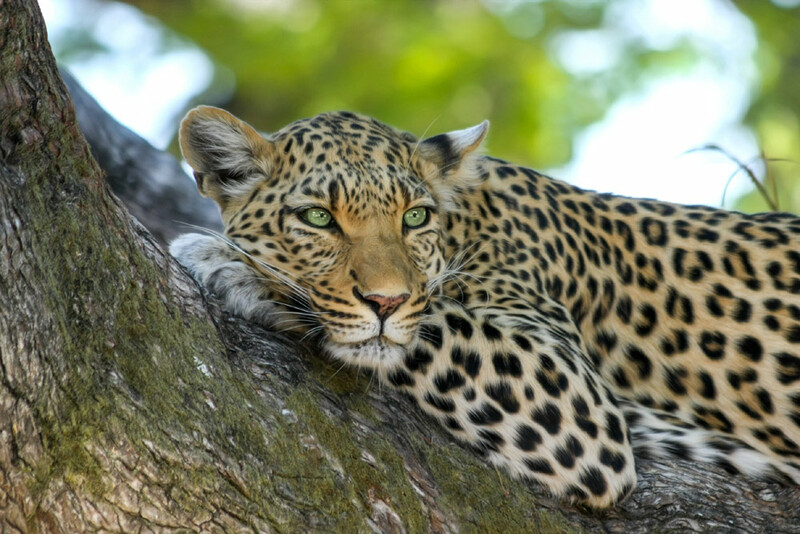 Due to the high density of herbivores in this area many predators, such as lions and leopards, can be found. 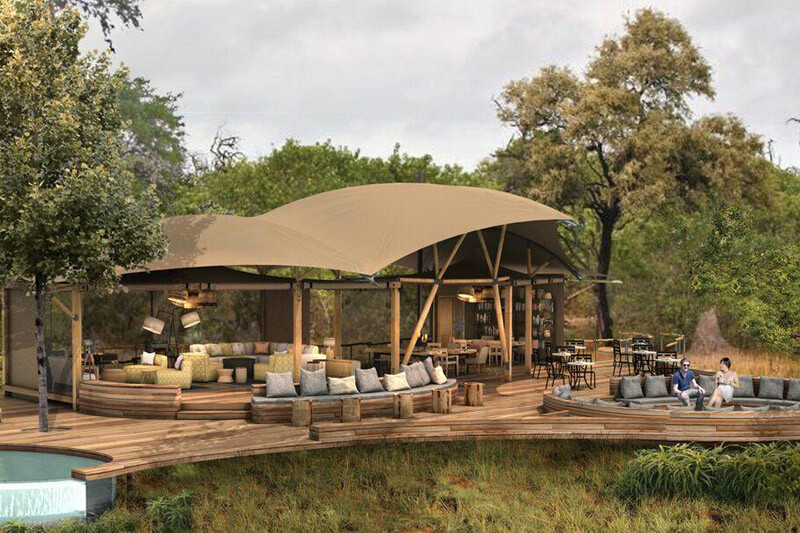 While staying at The Old House in Kasane, a game drive into the park in the early hours of the morning, and a river cruise on the Chobe River in the afternoon allows the discovery of this incredible area from both land and water. Free to enjoy activites as in Day 10. Overnight at The Old House in Kasane. Today the journey traverses the Zambezi River by ferry and then goes through to Livingstone on the Zambian side of the Victoria Falls, (Visa required), where you will spend the night at a comfortable lodge. 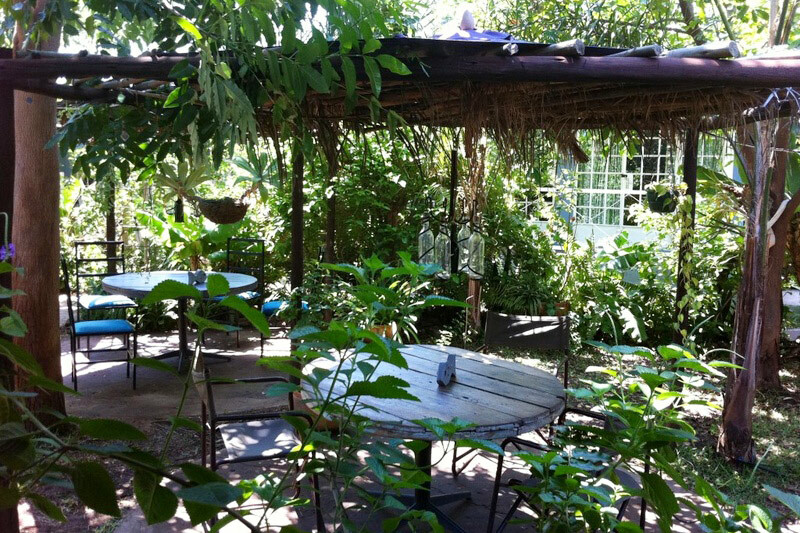 In the afternoon come face to face with the thunderous Victoria Falls and shop for curios with the roar of the water reverberating nearby. 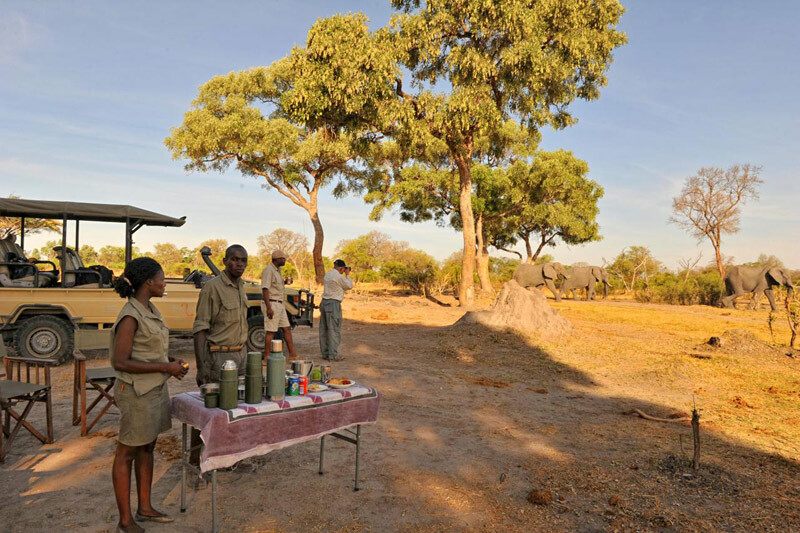 At Livingstone there are many activities to partake in which your guide can assist in organising. Please note that dinner on your last evening will be at your own expense. Spend your last night at Maramba Lodge with the images of the last 2 weeks still fresh in your memory. The safari officially ends at 8.00 a.m. today. We will be happy to arrange post-tour accommodation, activities and transfers to Livingstone airport, Victoria Falls airport, Kasane, or any nearby lodges at an additional cost. All accommodation (rooms in comfortable lodges or luxury tents). All Botswana and Namibian park fees for activities included in itinerary. Transport in an enclosed, airconditionned vehicle between lodges. Visas, airport transfers, tips, curios, optional excursions at the lodges (scenic flight over the Delta, activities in Livingstone/Victoria Falls, game drives, fishing, etc). 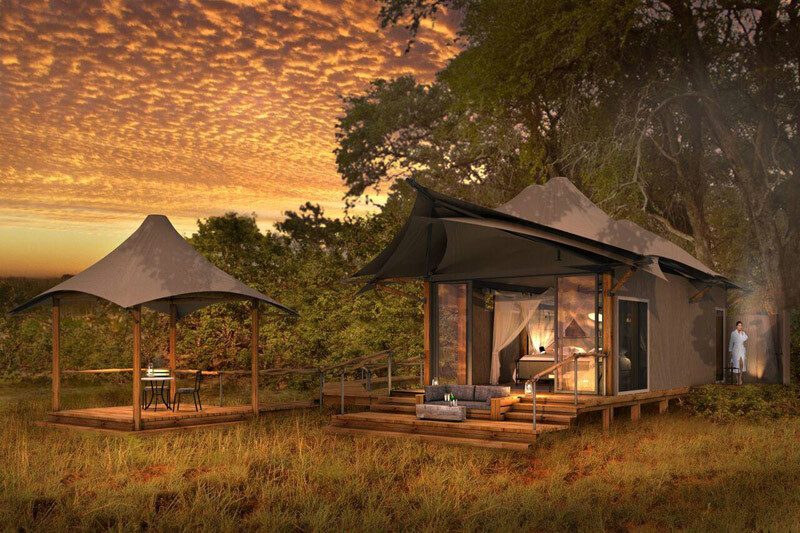 Accommodation consists of a tented camp with large bow tents and camp beds, with an en-suite bush toilet and bucket shower. Ideally located just 2.5 miles from the Victoria Falls, Maramba Lodge provides a most attractive all-year-round base in a shaded woodland setting. The Lodge is situated on a bluff overlooking the Maramba River with regular visits by the resident wildlife with elephant wandering through the grounds at certain times of the year. 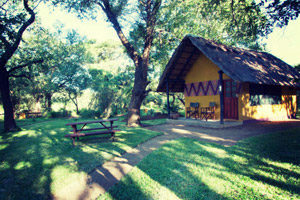 Accommodation consists of 6 Luxury Tents, 9 Chalets and 10 Safari Tents. 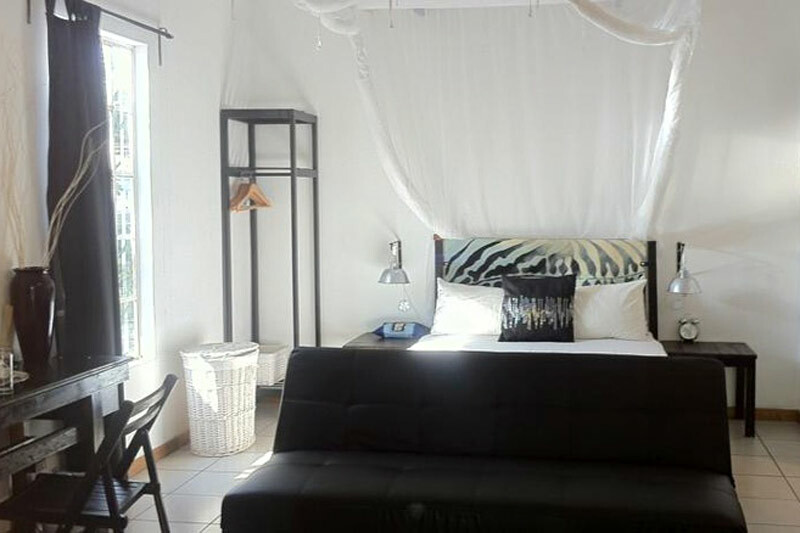 Situated close to the spar shopping centre, on the left hand side towards the golf course, The Old House offers 3 twin rooms, 3 double rooms, 2 family rooms and one back packer room. 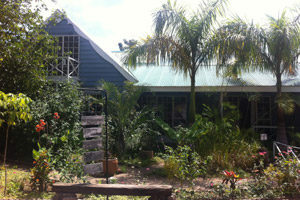 All the rooms are air conditioned with en-suite facilities and mosquito nets. The Old house offers a friendly atmosphere, great pub meals, ice cold beers and delicious pizzas. 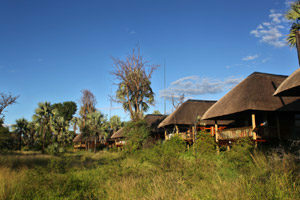 Guma Lagoon Lodge is situated right in the Okavango Delta and overlooks a large lagoon which gives the lodge its name. There are many activities which you will be able to involve yourself in, e.g. fishing trips, motor boat excursions, mokoro excursions, horse riding.